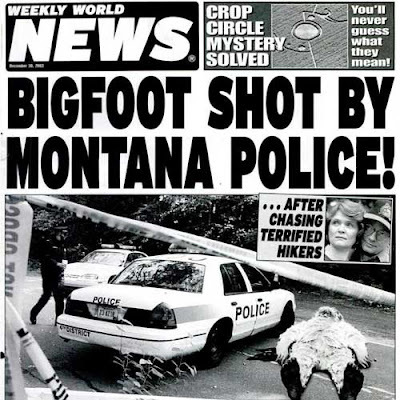 Gosh, the Billings Gazette completely failed to cover this story! This is fair and unbiased reporting at it's best. And just when we were getting all shmaltzy and sentimental about Thanksgiving...what a relief! I'll chuckle about this all day. On the serious side, though: very best Thanksgiving wishes to you and your family. It's been really fun getting to know you online. Do they even have silly newspapers like that in Canada? I bet you're missing out! That's FUNNY, Nick, and I AM a Montana stereotype! Happy Thanksgiving to you, Mark. It really has been a treat, seeing Montana through your eyes, and swapping comments. Every morning, I pour my coffee with half-open eyes, check my e-mail, and read "daily montana". If you ever meander toward Cohagen, please let me know...we can have coffee with home whipped cream! And there's no doubt at all that when I decide to point my car towards Cohagen, you'll be the first to know!